For over 20 years VFX pro Foster has been producing and providing training for traditional and digital images, photography, illustration, motion graphics and special effects for DV and Film. Some of his clients include: Tribune Broadcasting, Motorola, McDonnell Douglas, Nestlé, FOX Television, Spike TV, Discovery/TLC, Deluxe Digital, Universal Studios, Lions Gate Films and Disney. Foster also operates a media production company, Sound Visions Media, where he specializes in producing promotional videos for businesses, artists, musicians and entrepreneurs who have a compelling story to tell. Foster is an Adobe Certified Expert. We asked him what basic VFX techniques a beginning filmmaker with little or no budget could use. We wanted to know how Foster’s VFX remain focused on the film’s core story, and avoid distracting from the story. “The production studios usually have a good VFX director that I work with that gives me plenty of input right up front – before I even bid on the job.” Foster requires seeing the foreground and background plates and getting detailed specifics of their expectations in every single shot. “Sometimes,” he says, “I need to recreate a scene to match an existing shot.” Example – a day-to-night conversion where Foster needed to do match shots that were done in the late afternoon to existing shots from the night before in a dark alley. Foster is a self-taught artist. Originally trained as a mechanical engineering draftsman and airbrush illustrator, he has always been attracted to mechanical things and nature. “I never got into human figure drawing,” he says. 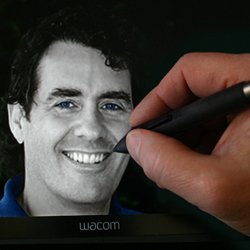 “I worked in aerospace for several years before ever doing graphics on a computer.” Mechanical illustrations and airbrushed murals made up most of his early career, as well as traditional graphic layout for prepress production and silkscreen printing. “I designed and painted album covers for ‘glam rock’ heavy metal bands in the 80s and even tackled a wood carving/illustration for one artist.” He says that the traditional tools of drawing and painting easily translated to the digital workflow in the early 90s. Foster says he can usually average about one shot a day, sometimes two days if it’s really complex or long (up to 8 seconds in length). Much depends on the time requirements as well as the complexity of the shot. You can see a few examples on his PixelPainter web site or YouTube channel. 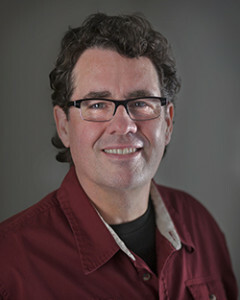 In addition to the many post-production projects he does for the feature film industry, Foster also operates a media production company, Sound Visions Media. With an experienced team of industry professionals, Sound Visions Media specializes in producing quality HD promotional videos – from commercials to feature-length documentaries – for businesses, artists, musicians and entrepreneurs who have a compelling story to tell. They’ve branded their award-winning concept as “Documercial,” a method of storytelling in a documentary-style approach to deliver a marketing message for their clients. His documercial video productions won a 2010 Telly Award. Foster uses this approach to create, for book authors, specific infomercials that have a documentary style production, with the authors articulating why they wrote or shared something, as well as a bit about themselves, to get people to care about them, and not only the book or its contents. Foster’s VFX company is PixelPainter: specializing in video production; VFX/roto/compositing; motion graphics; photography; and digital painting. Examples of his “documercial” product can be seen at SoundVisionsMedia. Jeff Foster is an accomplished trainer and author. 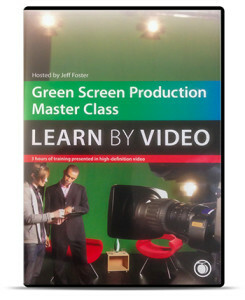 Among his books is The Green Screen Handbook.